Port Douglas was a fascinating place. 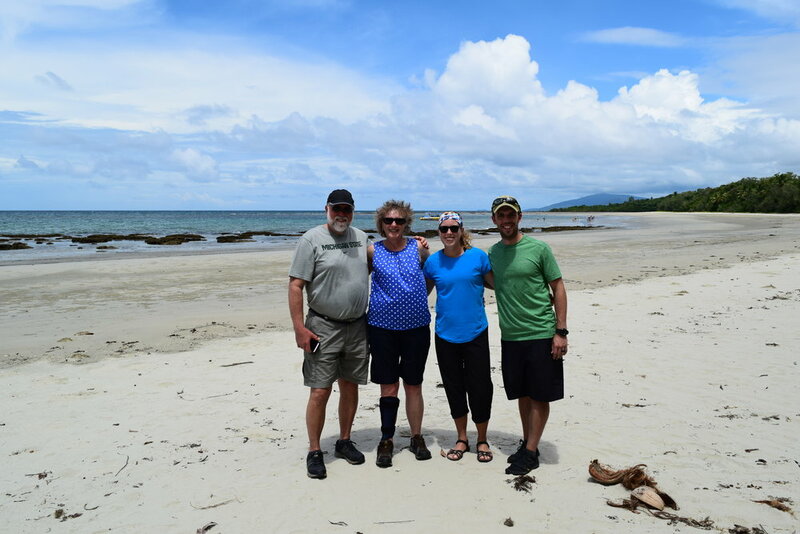 It is the only place on the planet where two UNESCO sites meet- the Daintree Rainforest comes down to the coast and meets the Great Barrier Reef. We stayed at a nice Airbnb that was a few blocks from the beach. Unfortunately, we couldn’t swim because it is the end of stinger season- we weren’t willing to risk getting stung! 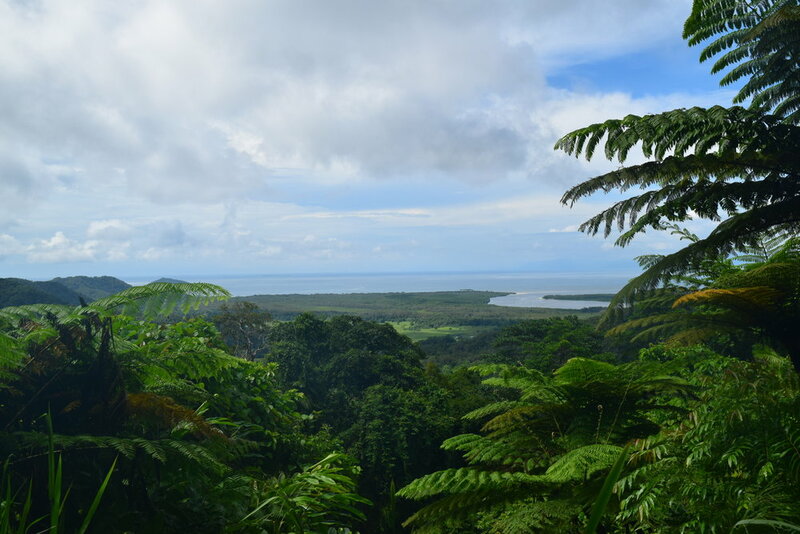 One day, we loaded up the car with a picnic lunch and drive north to the Daintree. It was beautiful! Everything was extremely green, and we saw lizards, tarantulas, crabs and giant fruit bats. They don’t call it the rainforest for nothing, it was extremely hot and humid, and rained in the afternoon. I wanted to see a crocodile, but we settled for a cassowary while getting ice cream. We also stopped at a random driveway that advertised vanilla beans for sale, and Dad bought some from a Crocodile Dundee looking character. We definitely got the local experience! 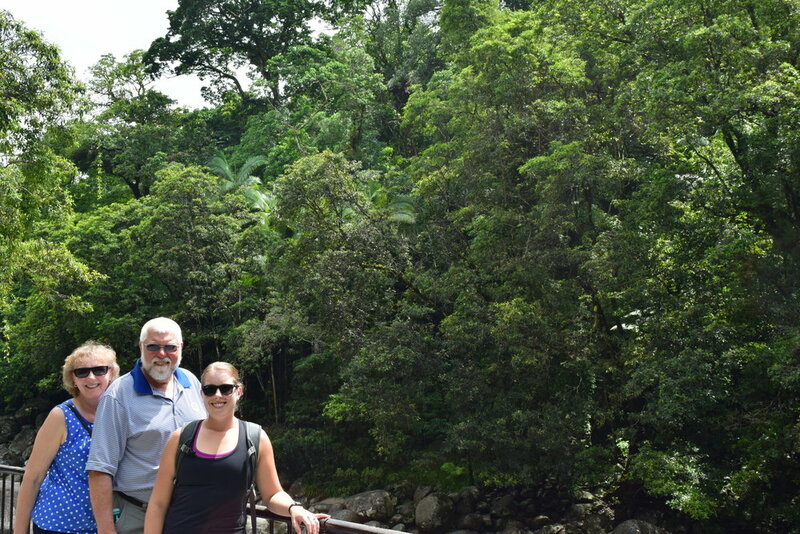 We dedicated another afternoon to visiting the Mossman River Gorge. The aboriginal community in Mossman runs the park, so we paid a small fee to ride the bus up to the Gorge. We went on a nice hike (complete with rainforest rain shower), and then Mom and I jumped in the river (fully clothes) for an afternoon swim! During our week in Queensland, we also went to church, walked through the Sunday Market, bought some Aussie pies and Mom and Dad went to wildlife park to pet the kangaroos. Leaving Cairns, we escaped tropical cyclone Debbie. We got really lucky that she tracked way south of where we were. There was extreme flooding in Queensland after the storm hit the coast as a category 4 cyclone. A cyclone is the same thing as a hurricane, they just have different names depending on where in the world the storm event occurs.